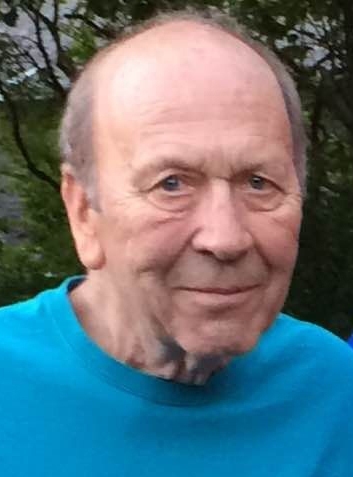 Gerald “Jerry” Joseph Delfosse, 82, died Tuesday March 26, 2019. He was born September 16, 1936 in Appleton, son of the late Joseph and Viola (Buss) Delfosse. Jerry married his high school sweetheart, Eva Fiane on April 7, 1956. Jerry was co owner of Fashion Flooring in Appleton for many years. He owned and operated Jerry’s Floor Mart in Waupaca for 10 years. Jerry returned to Appleton and worked for Laydwel Floors until his retirement in 2000. After his retirement, Jerry still worked part time for many years as a crossing guard in Appleton. He was a member at St. Pius X Catholic Church. He enjoyed spending his summer’s camping with his family at Huckleberry Camp grounds near New London, golfing and fishing. Jerry is survived by his loving wife of 62 years, Eva; and their three children; son, Steven (Julie) Delfosse, Waupaca and their three children: Alysia (Josh) Dillenberg, Greenville, Elizabeth Delfosse, Waupaca and Steven (Sarah), Waupaca; daughter, Lisa (Steven) Krueger, Waupaca, and their three children: Andrew Porrey, Waupaca, Aaron (Brenda) Porrey, Waupaca and Adam (Cassie) Porrey, Waupaca; and son, Terry (Cindy) Delfosse, Appleton and their two children: Brandon (Ginny) Delfosse, Appleton, and Michael Delfosse (special friend, Diana Henrickson), Appleton; 8 great grandchildren: Zoe, Rayna Dillenberg, Greenville, Grayson Delfosse, Waupaca, Caedence Porrey, Waupaca, Adler Porrey, Waupaca, Bentley Porrey, Waupaca, Atticus Porrey, Waupaca, Elsie Delfosse, Appleton, and two step great – grandchildren: Hannah and Jayden Kueger, Waupaca; his brother Wayne Delfosse, Little Chute; sister in-law Dorla Johnson; and many nieces and nephews. He was further preceded in death by a great granddaughter Rowen Porrey; two brother’s in-law: Roger Fiane and John Fiane; and three sister’s in-law: Sally Delfosse, Janice Fiane and Janet Fiane. Funeral service for Jerry will be 11:30 AM on Saturday March 30, 2019 at VALLEY FUNERAL HOME, with Fr. Adam Bradley officiating. Visitation will be held at the funeral home Saturday morning beginning at 9:30 until 11:15 AM, with the service to begin at 11:30 AM. Burial will be at St. Joseph Catholic Cemetery. In lieu of flowers, a memorial has been established. Jerry’s family would like to extend a special thank you to Dr. Stephan Dernlan and his staff, and the entire staff of ThedaCare at Home Hospice, for all of their care and compassion.